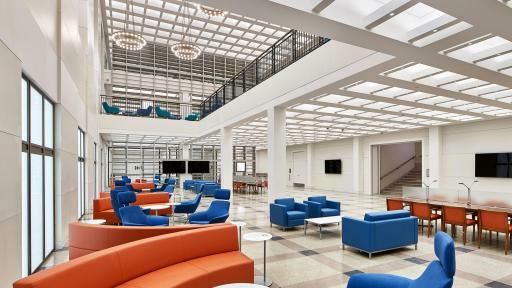 PHILADELPHIA March 18, 2019—This April, the Free Library of Philadelphia will open reimagined spaces in the Parkway Central Library, following years of planning and renovation. The massive undertaking began with moving more than 800,000 books and materials before deconstructing six levels of historic stacks. 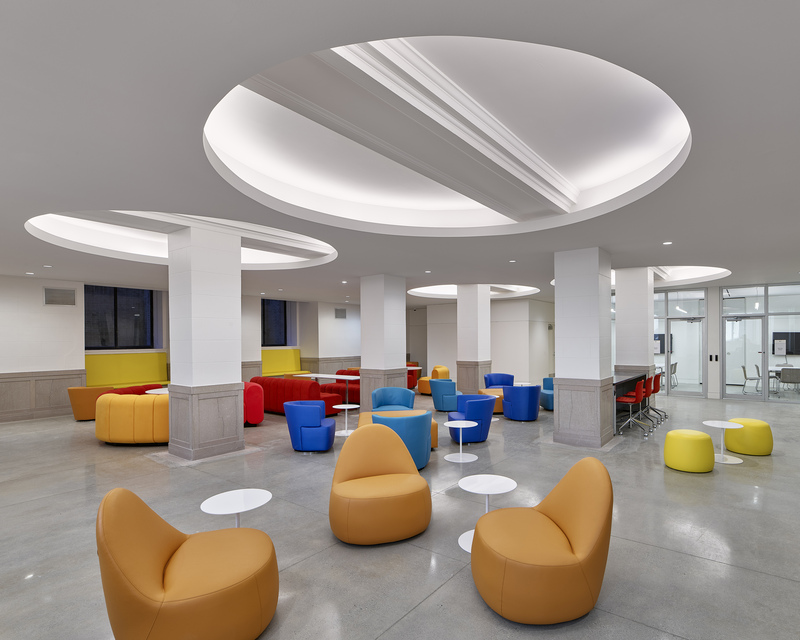 Three bold, new public spaces were created: The Robert and Eileen Kennedy Heim Center for Cultural and Civic Engagement, the Business Resource and Innovation Center (BRIC), and the Marie and Joseph Field Teen Center. 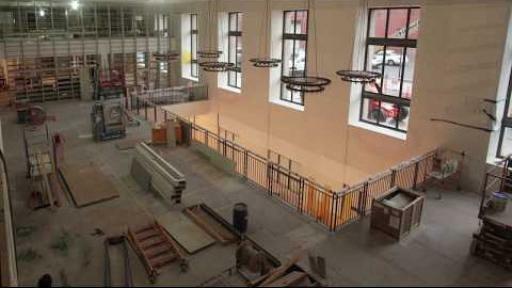 The Heim Center is designed to allow open-ended, informal use by visitors and will be activated by public programs presented by members of the community and augmented by programs offered by the staff of the Free Library's Division of Cultural and Civic Engagement. 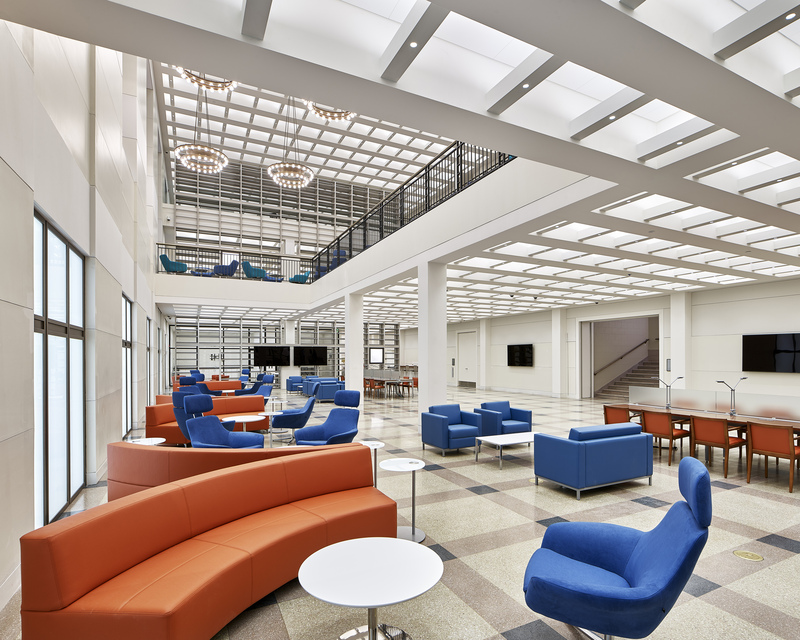 The 7,200-square-foot Heim Center—occupying a sweeping balcony overlooking the BRIC—will be a dynamic, flexible community space where visitors define their own experience. The BRIC houses the Library's business, workforce development, patent, and non-profit resources under one umbrella. The 8,200-square-foot new space was designed to help community leaders and small business owners start, grow, and improve their organizations and job seekers launch the next phase of their careers. 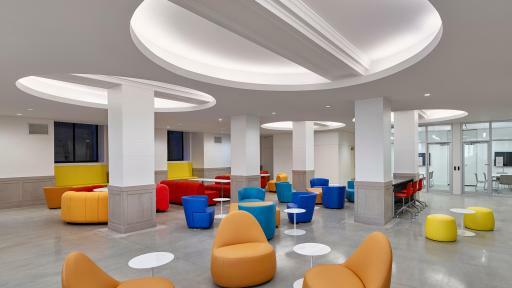 With an open floor plan and space for counseling and collaboration, the BRIC features conference and breakout rooms for brainstorming, meetings, and more.